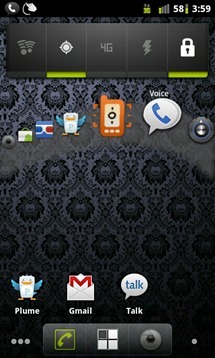 Wave Launcher's beauty is in its simplicity, just like its WebOS predecessor. 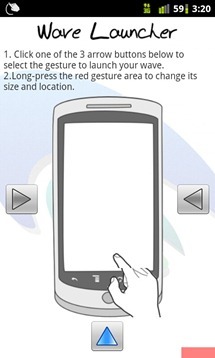 You simply touch the bottom edge of your screen and swipe up. 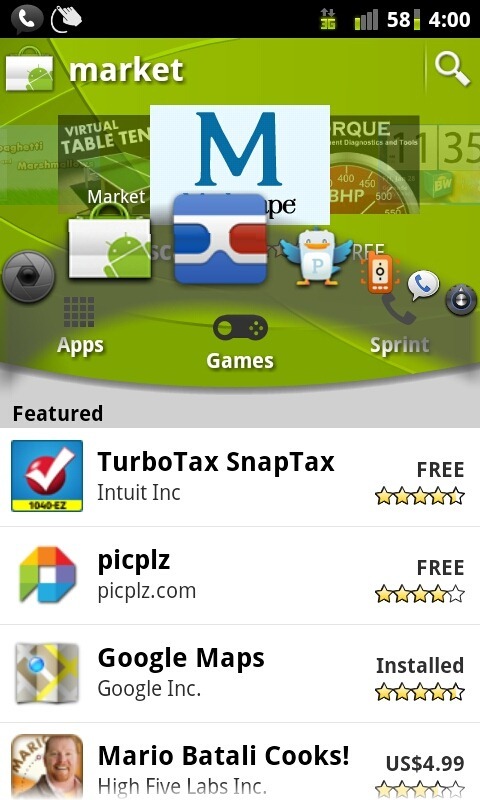 As you swipe up, so does a bar of five or more applications for you to select. You have the ability to perform this action no matter what you're currently doing on the phone, making it almost TOO convenient. Let's go through a quick rundown of how it works. 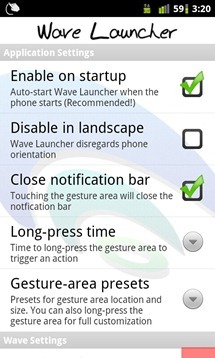 After you've installed Wave Launcher, the first thing you'll want to do is run the configuration because it's pretty useless without any shortcuts configured. You get four options. 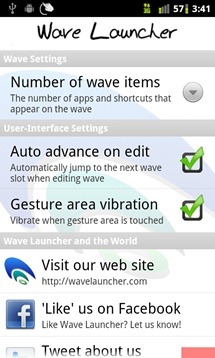 "Edit Wave" does the obvious and gets you started adding applications to the wave itself. 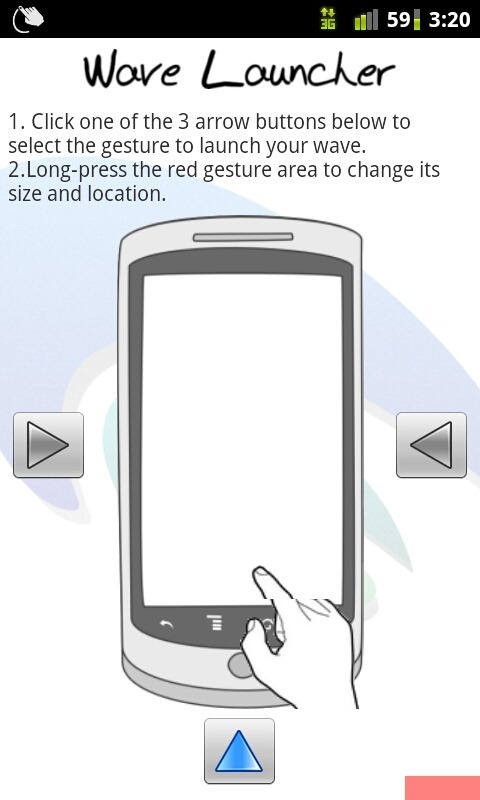 Calibrate allows you change certain aspects of the gesture, Settings adjusts the application behavior and other such things, and Help is there if you get confused. When you start editing your wave, it brings up a bubble that lists all of your apps. 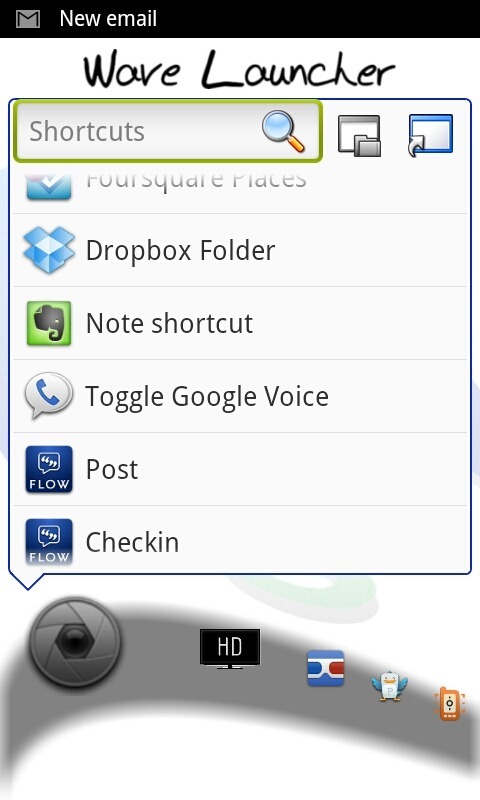 You then select the one you want to make a shortcut to and it advances to the next slot. Alternatively, you can select the icon in the top-right and have it display application shortcuts. After you're done with that, you may find that having the entire bottom of the screen dedicated to the gesture area just isn't working for you. That's where the calibration option comes in. 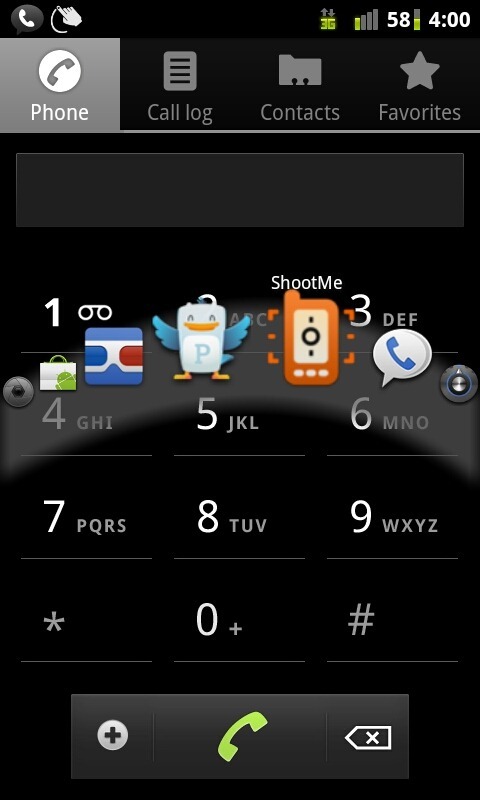 It gives you the ability to change from the bottom of the screen to the left or right side of the screen. 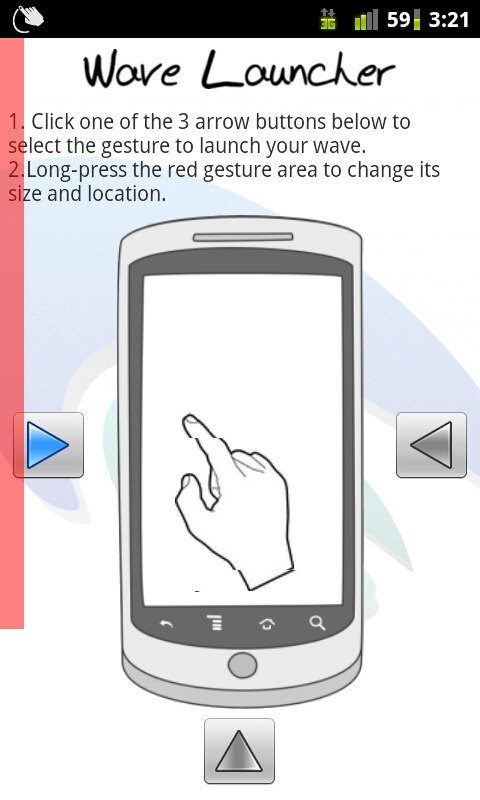 You can also change the size of the gesture area as well as its location by pressing and holding on it. You don't even have to be in the setup application to do this. Cool. 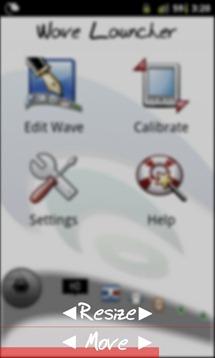 When you go into the settings dialogue, you get to edit things such as the number of shortcuts on the wave, orientation options, and several other tweaks. I personally like to have seven shortcuts and for the gesture area to not vibrate. 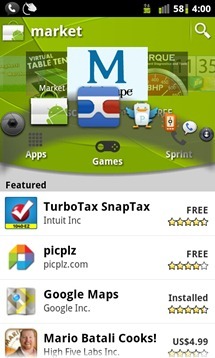 This is a very solid app that, even though it's awesome already, has a lot of potential to become just plain amazing. The only problem I've ever had with it is a little stuttering with the animation of it, but that could very well have been my phone's fault. I would like to see a couple of features added in the future, the best of which would be customizing the wave background or, at the very least, the color of it. 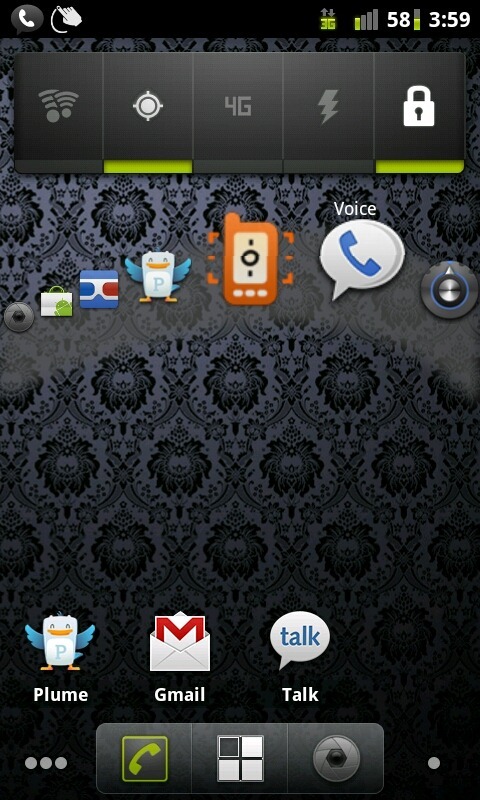 For now, though, Wave Launcher is doing the job - and then some. 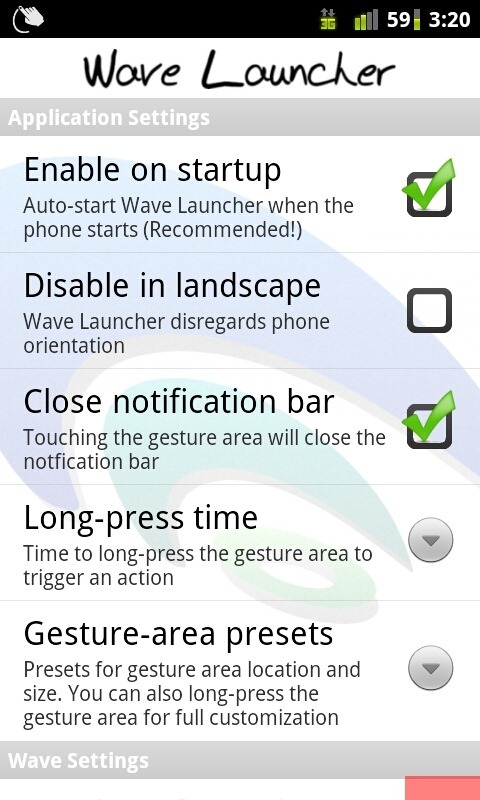 My preferences for design taken into account, I'm still going to give Wave Launcher a rock-solid 4.5 out of 5. If they add some more customization options, I may just raise that to a 6 out of 5. 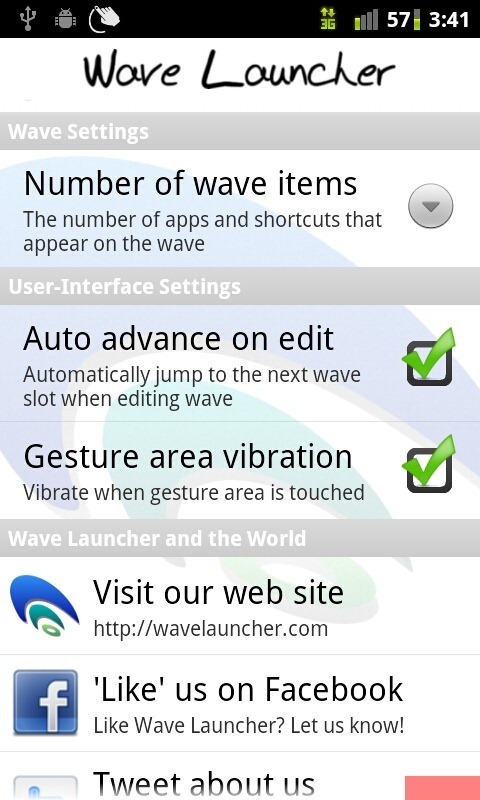 You can download Wave Launcher right here. They have a special introductory price right now and you can get it for $0.99! GOGOGO!